As several parts of Assam are reeling under flood, State Chief Minister Sarbananda Sonowal called on Governor Prof Jagdish Mukhi at the latter’s office in Raj Bhavan and briefed him of the latest flood scenario in Assam and the State government’s response with regard to relief and rehabilitation of the flood affected people. Governor Prof Mukhi has asked Chief Minister Sonowal to leave no stone unturned to reach out to the flood affected people and provide them relief. As the seasonal floods have hit Dhemaji, Hojai, Lakhimpur, Cachar, Karimganj and Hailakandi districts affecting lakhs of people, the Governor conveying the Centre’s concern over the plight of the flood affected people, has asked the Chief Minister to roll out the entire government machinery to provide relief and rehabilitation to the marooned people. 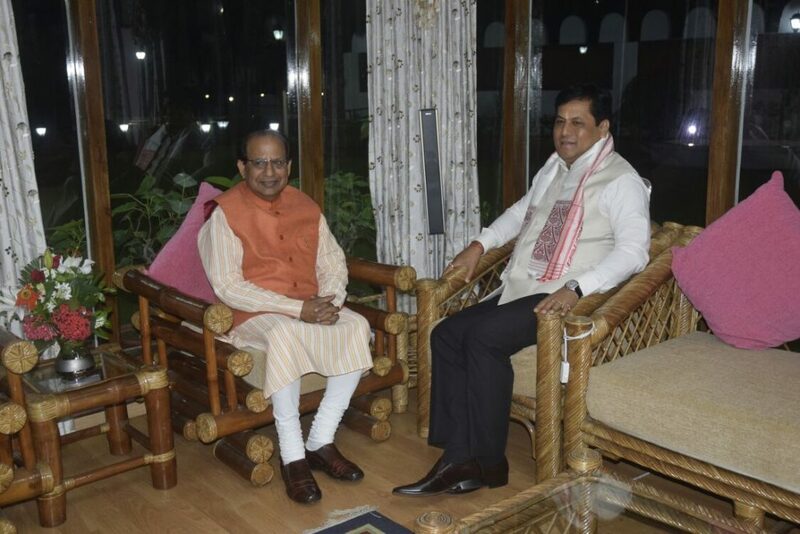 The Governor and the Chief Minister besides having discussion on the relief camps and the number of the flood hit people taken shelter in the relief camps agreed that in case of flood water affecting more people, the administration should open more temporary relief camps. 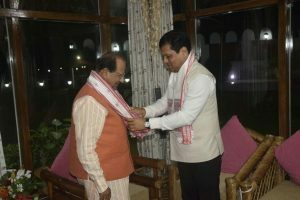 The Governor, however, expressed satisfaction at the State Government’s move of announcing a package of Rs 100 crore for the flood relief and rehabilitation of Barak Valley during Chief Minister’s visit to the valley on June 23 and 24. Chief Minister Sonowal also briefed the Governor on the prevailing law and order situation in the State. The Governor also took stock of the strength of security installations in the State including the presence of central paramilitary forces. The meeting which lasted for nearly 30 minutes also discussed other issues of importance for the State administration.